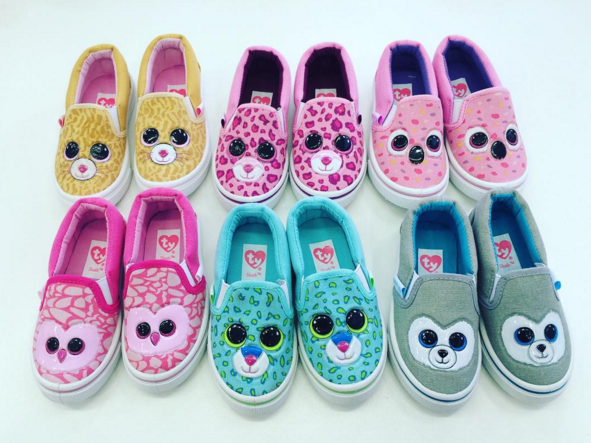 Esquire Footwear gives a sneak peek at new Beanie Boo range! 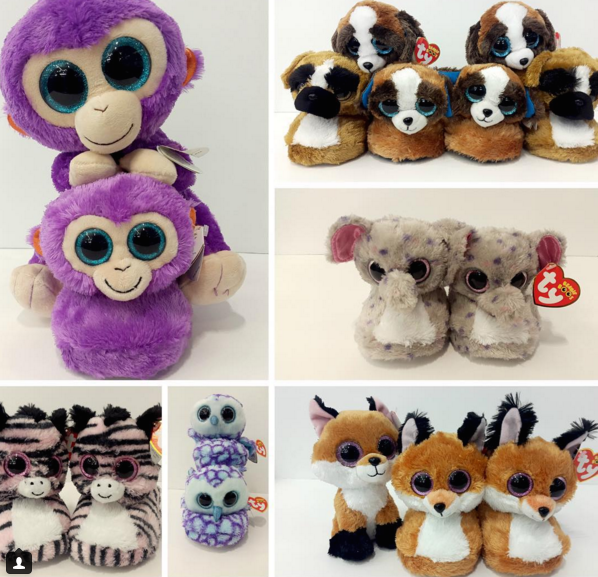 Esquire Footwear have put up teaser photos on their Instagram page of a new range of Beanie Boo shoes! The shoes look like they’re modelled on Slush the husky, Tabitha the cat, Pinky the owl, Leona the leopard, Glamour the leopard and Kacey the koala. It’s not yet known when the shoes will be available. 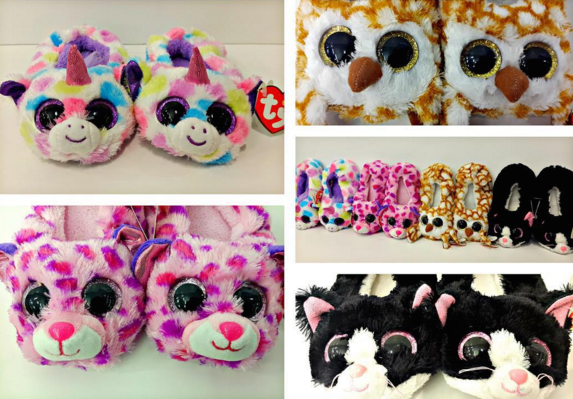 They had previously announced a range of Beanie Boo slippers that are due to hit the stores any day now! The slippers are modelled on Slick the fox, Glamour the leopard, Wishful the unicorn, Swoops the owl, Pepper the cat, Specks the elephant, Oscar the owl, Zoey the Zebra, Maddie the dog, Duke the dog, Grapes the monkey, Muffin the Cat, Ellie the elephant, Coconut the monkey, Pinky the owl, Ice Cube the penguin, Zippy the turtle and Brutus the dog. The slippers will be available in a slip-on style or with an anti-slip back on them. They will be available in a range of sizes. You can visit Esquire Footwear’s Instagram page here to take a look at their range.